As your local Acura car dealership near Philadelphia, we’re here to serve our customers with a commitment to satisfaction and a terrific inventory of new Acura cars. There’s never been a better time like the present to come in and see what we have to offer, and that includes the spectacular 2017 Acura RDX. This superb SUV is a must-see and once you learn about all of its great features, we have a feeling you’ll want to take it out for a test drive. The 2017 Acura RDX is a classy, reliable, and high-quality SUV that has a little bit of something for everyone. 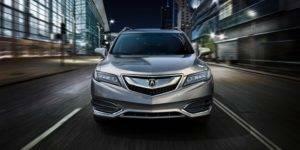 Under the stylish hood of the 2017 Acura RDX, you’ll find a featured 3.5-liter V6 engine that serves up a powerful 279 horsepower and 252 lb.-ft. of torque that works in tandem with a smooth six-speed transmission. The available all-wheel drivetrain gives the 2017 Acura RDX solid traction in all kinds of driving conditions, and the added assurance and reliability gives you confidence behind the wheel. We’ve established that the 2017 Acura RDX has fantastic performance but how does it stack up on the interior? Well, there’s a ton of entertainment and comfort amenities that drivers are going to love. Things like the available 10-speaker sound system, Siri® Eyes Free, and SiriusXM® satellite radio allows you to enjoy your favorite media easier than ever. Safety hasn’t been overlooked either on the 2017 Acura RDX and it’s plain to see when you consider the included safety features. Some of our favorites include an available back-up camera, dual-stage driver and passenger seat mounted airbags, and blind-spot sensors. Join us at Acura of Limerick to test drive the impressive 2017 Acura RDX! We’re conveniently located at 77 Autopark Blvd., so stop by to see this model in-person today.